ESA’s Mars Express has returned new images of an elongated impact crater in the southern hemisphere of Mars. 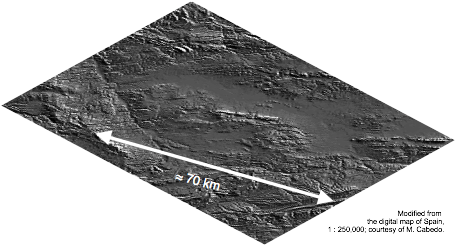 Probably, the crater was caused by a train of projctiles and thus may be considered a model for the formation of the Rubielos de la Cérida elongated impact basin in Spain. Rubielos de la Cérida impact basin. For comprehensive information click here. 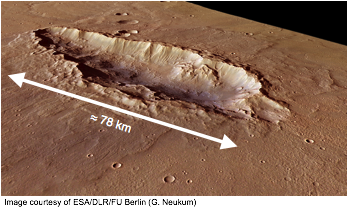 Next Next post: Earthquakes and meteorite craters: Rock liquefaction phenomena and the Chiemgau impact.